Black Panther is back, and he’s better than ever. That’s right – after his explosive debut in Captain America: Civil War, it’s time for Black Panther’s very own solo movie. But can he really hold his own? It’s time for Marvel to venture into a new world as Black Panther takes the superhero genre into uncharted waters. Hidden from the outside world, Wakanda is an African kingdom with a difference-disguised as its third-world neighbours, Wakanda thrives on the alien technology that created it and has technological advances that would even surpass the ideas of Marvel tech-expert Tony Stark. After the events of ‘Captain America: Civil War’, we follow Prince T’Challa (Chadwick Boseman) as he returns to Wakanda to take his father’s former role as King… as well as becoming the legendary Black Panther. But the Wakanda that T’Challa now rules is not as settled as it seems and it’s not long before problems break out throughout his Kingdom. Clearly, the odds are against him, with a threat to the throne set to challenge T’Challa’s position as King and Black Panther. And with the fate of Wakanda and the world at risk, he’s going to need the full power of the Black Panther to prove his worthiness as King of Wakanda. But can he save the world from chaos and devastation? Thankfully, he’s not entirely alone – even without his Avengers pals. Black Panther boasts an incredible supporting cast, with T’Challa’s ex-girlfriend Nakia (Lupita Nyong’o) acting as a spy and central ally to T’Challa in protecting the kingdom, whilst also helping those in less fortunate nations. T’Challa’s sister Shuri (Letitia Wright) is the technological genius of the film, designing all of the new technology for Wakanda, whilst also being a skilled martial artist. Zuri (Forest Whitaker) is an elder statesman who is the keeper of the T’Challah’s powers. Then there’s W’Kabi (Daniel Kaluuya) – T’Challa’s best friend and head of security and Okeye (Danai Gurira) – the head of an all-female special forces team that protects the Kingdom using frankly-insane fighting skills that are showcased throughout the film. He’s certainly not short of some good friends to help out when the going gets tough. And he’s got his fair share of enemies, too. Ulysses Klaue (Andy Serkis) is back after his debut in Civil War, with comic-book villain Killmonger (Michael B. Jordan) serving as Black Panther’s nemesis. And what a nemesis he is. 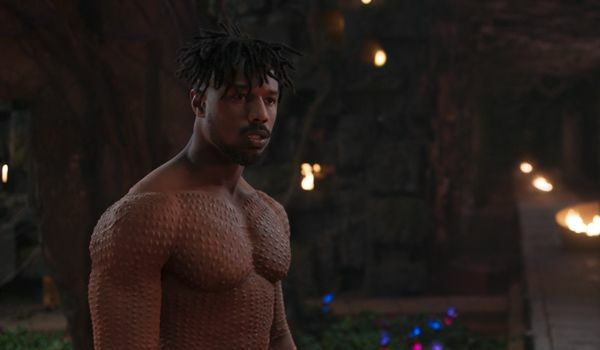 Killmonger is an absolute joy to watch – Michael B. Jordan’s stint as the Marvel villain is wonderfully acted, and he’s an incredibly strong character in his own right. Sure, it’s great to see Andy Serkis back as Klaw, but Killmonger makes a far more believable villain… and his plight is far more poignant than most other Marvel villains. Could Klaw have been better utilised? Absolutely. But in taking a back seat, Andy Serkis allows Michael B. Jordan’s Killmonger to shine. Given the nature of Killmonger’s storyline, this works a treat. And it’s about time Marvel began to tackle such big ideas on the big screen. Indeed, the central themes in Black Panther are extremely relevant. Sure, it’s a superhero film – but as with all our favourite movies, it has something to say about the real world. And it’s not simply a matter of black representation, either. Black Panther tackles numerous big issues, including a major theme which tackles the humanitarian crisis facing the world and the moral arguments over whether or not the rich population should be contributing more. To that end, King T’Challa suggests that we should all treat each other as though we are “of one tribe” – a superb line and a real lesson in how we should all view the world. Yes, Black Panther is a film which brings African culture to the forefront… but it’s just as relevant to anyone watching it. Black Panther is brilliantly funny, moving and absolutely action-packed. 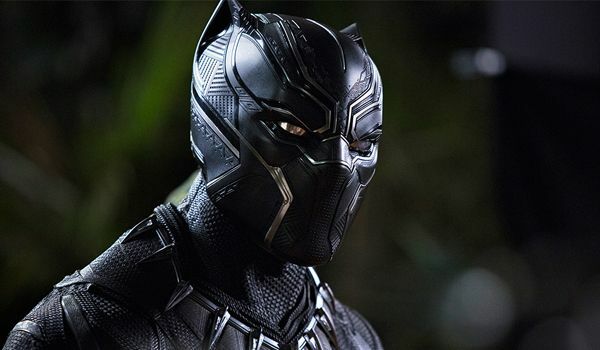 It’s a delight to watch and sure to be a fan-favourite – Black Panther is masterfully made, and it pushes the boundaries of the superhero genre in a similar way to other recent Marvel offerings. Yes, we’re thinking of Thor: Ragnarok and Guardians of the Galaxy. Again, Marvel proves it makes more than just superhero movies, and adds yet-another style to its increasingly diverse superhero solo roster. With an excellent cast and a superb director in the form of Ryan Coogler, Black Panther is tight, neat and yet full of unexpected twists and turns. Of course, Coogler directs the film with all the sensitivity it deserves while also managing a stellar superhero flick. It’s a defining moment for black African-Americans and it’s a bloody good movie, too. Black Panther has already become more than just a new Marvel film. It represents a new breed of race-empowering media, using Afrofuturism to finally bring a bit more diversity to the MCU. With an almost entirely black cast, traditional African music and prominent setting of the fictional Wakanda, the film is an explosion of African culture and a celebration of ethnicity and diversity. How are the events of Black Panther going to affect Infinity War? Well that’s the big question. Will Wakanda be revealed to the rest of the world? 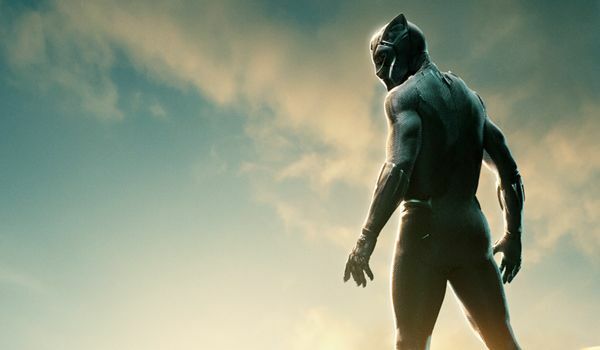 Will Black Panther take on a more politically-motivated role in the Avengers? And how will he fit within the dynamic of the team now that he is a King? For now, we’ll have to wait and see – but it promises to bring a whole new, diverse chapter to the MCU… and that’s definitely a good thing. Black Panther stars Chadwick Boseman, Lupita Nyong’o, Letitia Wright, Michael B. Jordan, Danai Gurira, Angela Bassett, Daniel Kaluuya, Andy Serkis, Martin Freeman and Forest Whitaker. Ryan Coogler directed the film, co-writing the screenplay with Joe Robert Cole.